People usually think of homogenous suburbs when they think of Phoenix; however, the Maple-Ash neighborhood located just west of Mill Avenue is unique. Why? Flood irrigation. Flood irrigation is the process through which water is delivered to a certain point to be distributed to properties. Tempe first began irrigating its agricultural land in the early 1900s by way of open ditches. Around 1930, pipes replaced open ditches as more homes were constructed. Flood irrigation allows for lush lawns and much needed shade trees, providing a green sanctuary in the midst of a desert environment. While flood irrigation provides fantastic positive effects, it also causes the degradation of saline, alkali, and acidic levels in the soil. The flood irrigation project became a financial issue in the 1950s; the city attempted to raise the irrigation fee that residents paid in exchange for the project. Many longtime residents rejected the idea of a raised fee. They argued that flood irrigation provided a beautification service to the properties’ landscape; therefore, the funding should come from the general fund rather than raising residents’ fees. Because of the negative resident resistance, subdivisions quit offering flood irrigation services and the city halted the expansion of the flood irrigation system. The Maple-Ash neighborhood offers a relaxing atmosphere and a palette of different home styles built from the 1920s to the 1950s. It also exhibits standpipe art, a unique creation that illuminates the presence of flood irrigation. Each standpipe represents the point of distribution to properties, but you would never know that was their purpose. 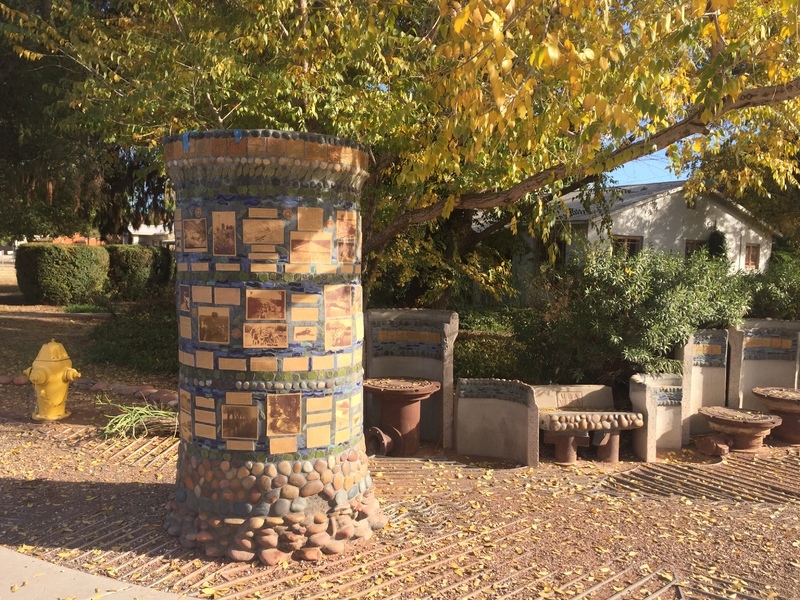 Paige Green and Cody Ferguson, “Maple-Ash Public Art,” Salt River Stories, accessed April 22, 2019, https://saltriverstories.org/items/show/90. "Preliminary Determination of Eligibility: Gage Addition Historic District," HPO Report, 2006.2742.0099. Hayley Ringle, "Public project pumps up standpipes," East Valley Tribune, 12 May 2005. City of Tempe, "2012 Neighborhood Award Winners," website, http://www.tempe.gov/index.aspx?page=2770, accessed 23 April 2014.